When you think of Costa Rica, you probably think of hot steamy weather and endless sunshine. This perception is certainly true in many parts of the country. Thanks to its diverse geography, the Costa Rica climate is quite varied. From cold, misty mountains to hot, humid rainforest. 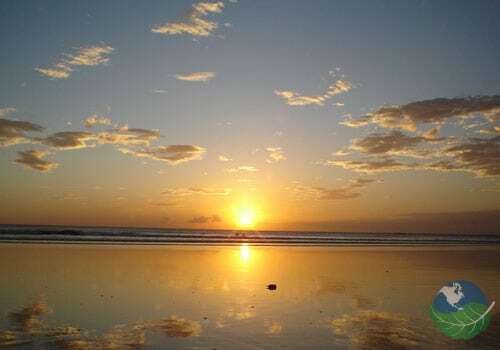 In fact, short of snow, you can find almost any weather in Costa Rica. When you’re planning a Costa Rica vacation, it’s a good idea to understand the rainy and dry seasons as well as look at an updated weather forecast! Costa Rica is located in Central America between the Pacific and Atlantic oceans. This puts it deep inside the tropics – about half way between the equator and the Tropic of Cancer. This region is characterized by heat and humidity and by the existence of a wet and dry season. Rather than the spring, summer, fall, and winter pattern found in more temperate areas. Much of Costa Rica fits this description perfectly. 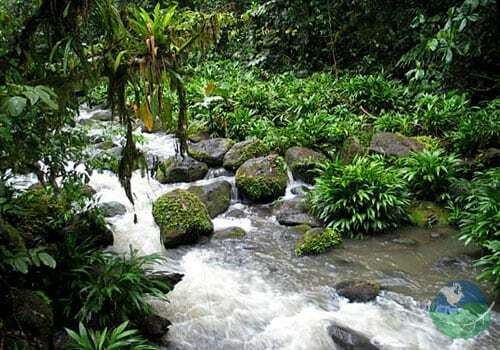 In many places, the Costa Rica climate is warm and damp for half the year. The internal geography of the country, however, means that whole provinces of Costa Rica do not follow these rules. The best example of this is the central mountain range. The central mountains cut Costa Rica in half. These can reach heights of almost 4000 meters, and this creates dramatic changes in climate. The hills and valleys trapped everything from clouds to heat and combined with the range of altitudes result in an array of microclimates. The weather in one valley can be completely different to that in the next one over. There are too many local variations to list. As a general rule the higher you are, the colder and damper it gets. The influence of the mountains on the Costa Rica climate extends further than their boundaries, however. As warm air comes in from the Caribbean, the mountains force it to rise – a process which cools it and results in rainfall over the lowlands. On the other side of Costa Rica, the mountains have the opposite effect. The ocean air is pushed up the coast, and its moisture is trapped by the peaks. By the time it reaches the northern half of the country, it is entirely dry, and as a result, Guanacaste is the driest part of Costa Rica. Both coasts have a more traditional tropical climate, although as you can see, there are some regional differences. The wet season is from May to November, and during these months you can expect a downpour at some point almost every day. This does not affect the temperature, however, and this remains more or less constant across the year. The dry season happens from December to April and you can be confident that rain will not have too much of an effect on your vacation if you visit between these months. The driest month is January while the wettest are September and October. Temperatures in the majority of Costa Rica do not vary significantly, but the Costa Rica is at its coldest between November and January. Costa Rica can be roughly divided into five climatic regions, although there are plenty of micro climates within each of these. The Central Valley – home to the capital, San Jose – has unique weather. Thanks to its moderate altitude and the protection afforded by the surrounding mountains, it has a what many believe is the perfect climate. The temperature sits comfortably between 15 and 30 degrees (Celsius) all year round, leading some to claim it is a land of eternal spring. The wet and dry seasons are clearly defined meaning that there is very little rain between December and March, and even during the wet (“green”) season, it tends to rain only in the afternoon/evening. The highlands which surround the central valley are the most climactically diverse in the country. In some places, the temperature can drop dramatically – even reaching a freezing point on rare occasions. While the wet and dry seasons do exist here, humidity is ever present, and mist is common in parts of the region all year round. To the east of the mountains, the Caribbean coast is stereotypically tropical. Whenever you visit you can count on it being hot, but showers are common, even in the dry season. The closer to the coast the more likely it is that you will experience rain, but for much of the year, the downpours are short – if hard – meaning that most of the days are bathed in sunlight. Hurricanes do occasionally affect the climate of the Pacific coast between May and November. Costa Rica is never really hit directly by these events, but when a hurricane strikes nearby areas, it can bring storms to the country’s coastline. 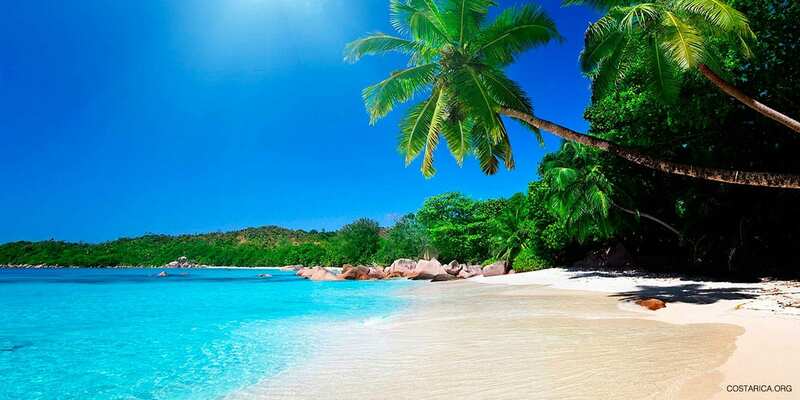 The climate on the southern half of the Pacific coast is somewhat similar to that of the Caribbean. Hot and humid tropical weather are prominent. August to December are wet, and from December through to April, you can rely on the sunshine. The remaining months are characterized by mixed weather, during which each day could bring rain or shine. It is worth noting that the Osa Peninsula is significantly wetter than the rest of the coast, and reaches levels of rainfall similar to those of the Caribbean coast. To the north, however, things are very different. This region sees much less rainfall and you can see it in the landscape. Yellow – not green – is the dominant color, and the plant life looks closer to that found in an African savannah than a tropical island. The province of Guanacaste is the epicenter of this phenomenon. It receives less than half the annual rainfall of the Caribbean coast.